One of my favourite things about this game are benches. It sounds mundane, but sitting on a bench moves the camera out to give a full view of the area, and the locations in Brothers are beautiful. It’s great looking in general, with a lovely soundtrack to compliment it’s visuals, and despite the lack of any understandable dialogue it manages to tell a great story through sight and sound. It opens with simple premise of two brothers journeying off to a far land to find medicine for their sick father, and builds to a very emotional conclusion. The control scheme can take a small amount used to, each brother is controlled with either analogue stick, and can sometimes feel like the videogame equivalent of patting your head and rubbing your belly. However there isn’t really a lot of dexterity required in playing Brothers, and the controls really serve to pack an emotional punch in certain scenes. Following a recent trend with certain games, I managed to finish it in one sitting, about 3 hours-ish. I like that, it can give a more ‘movie-like’ pacing to these sorts of games, it also means that there’s never a dull moment in the game. I’d rather take a great 3 hour experience over a 40 hour slog. 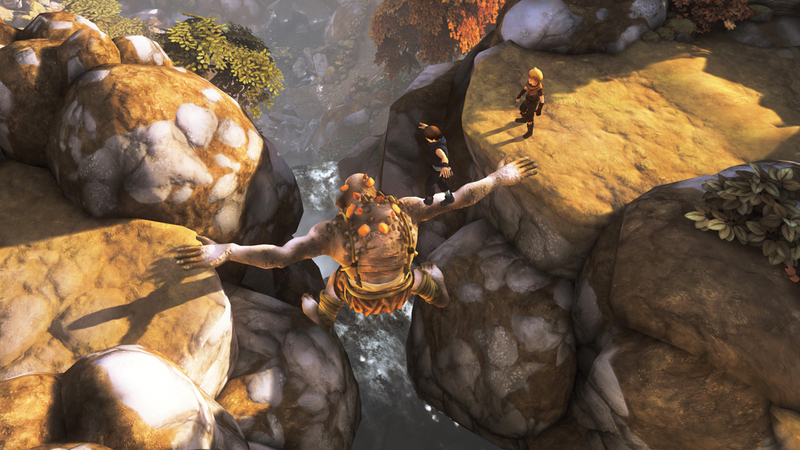 If you have an evening, or lazy afternoon to spare, I’d recommend giving Brothers a try, especially if you like purely narrative driven games. 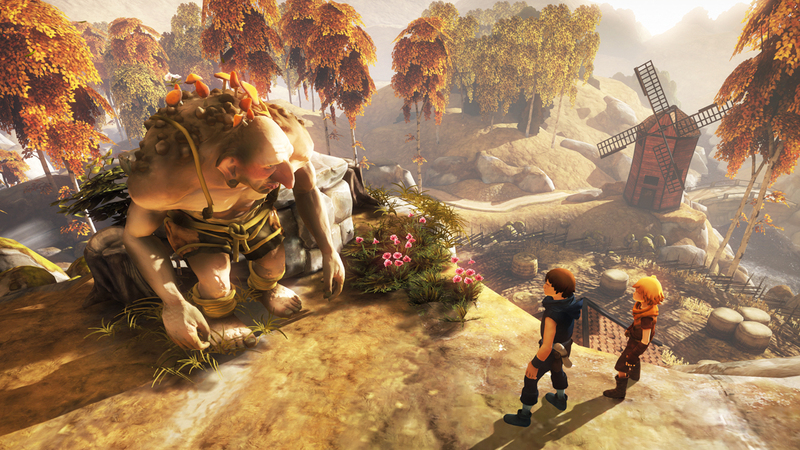 Brothers: A Tale of Two Sons is available to buy on Steam, Xbox Live, and Playstation Network.